Do you demand only the finest 1000 thread count Egyptian Cotton sheets or require that your bath be drawn only with bottled spring water? Do you insist that your coffee be stirred only counter‐clockwise? If so, then, like many celebrities, you're a diva. Are you surprised to learn that you don't need to be famous to be a diva? Don't be, because divas, they're just like you and me. Like many Americans who try to stay tuned in to the popular culture, I rely on a number of sources for all of the latest gossip. Now, some celebrities, despite their fame, can come across as sympathetic characters. On the other hand, take Madonna. Apparently she's getting divorced, and that's probably sad, but a recent item quoted a Swedish pop star named Robyn, who had been invited by Madonna to open a handful of her European shows. Robyn had been excited to receive the invitation until she was informed that she and her crew were forbidden to approach Madonna, speak to Madonna, or take any pictures of Madonna. In response, Robyn said that, "My worst nightmare would be to turn into Madonna." Certainly, it's difficult to know if anecdotes like this are true unless one experiences the wrath and disdain of a celebrity personally, but so many incidents like this have been reported that one begins to wonder whether fame can change one's personality. The (mis)behaviors of divas fall into two realms, the personal and the interpersonal. In the realm of the personal lie the luxuries and freedoms to which these special people feel entitled. During the making of the box‐office bomb Basic Instinct 2, for example, Sharon Stone's demands included three nannies, two personal assistants, a private chef, armed bodyguards, and travel by private jet. Why armed bodyguards? Well, perhaps they were needed to fend off the hordes of plastic surgeons whose services she has vowed she would never use. The truly boundary‐crossing misbehaviors of divas lie in the interpersonal realm, however, because, for some reason, they seem to feel that the appropriate response to unsatisfactory behavior by one of their minions is the throwing of a cell phone. We have seen this from the Australian actor Russell Crowe, the former supermodel Naomi Campbell, and somebody named Foxy Brown. but we should primarily be alert to our own feeling that we become lesser or even nonexistent mortals on those rare occasions when we might find ourselves in a celeb's company. So are these behaviors a consequence of our era of media saturation? Has the constant scrutiny of the media through the Internet, the tabloids, and the celebrity obsessed TV shows created a generation of monsters, or are they just more visible now than they were in the past? Elizabeth Taylor was certainly recognized as being a diva many decades ago. As Bette Davis once said, "The real problem with Liz is that she bought the little lost princess image invented for her at MGM." In a similar vein, I recall an anecdote in which Frank Sinatra was standing in a crowded party tent and decided that he would like to leave. Instead of simply remaining patient and proceeding in a leisurely fashion to the exit, he took out a switchblade, cut an opening in the tent, and walked out. Back in the 80s, the rap group Public Enemy released a song called, "Don't believe the hype." The problem with many of these divas, both past and present, is that they not only believe the hype, they believe that it's fact. Perhaps to the same extent that we admire celebs because of their accomplishments, we also feel a secret thrill when they're punished for their moral failings. Celebrity is a double‐edged sword, and more often than not, an ascendance into the public eye, sometimes for little or no obvious reason (Paris Hilton, of course, sets the standard), is matched by a similarly precipitous decline through rehab and onto the set of Celebrity Fit Club. If these shooting stars knew in advance that their fame would require a Faustian bargain, would they opt out of the deal? Probably not, because the glare of the flashbulb can be quite seductive. Because we're all human beings with both higher aspirations and certain baser instincts, we need celebrities. When they're on the rise, they make us feel better about ourselves because they show the heights to which anybody can ascend given the right opportunities and a modicum of talent (or in some cases no identifiable skills at all). Conversely, when celebrities crash and burn, they help us to feel better about ourselves because we haven't yet become dysfunctional enough to end up in that predicament. While some might suggest that I should leave the analysis of celebrities' psyches to Dr. Phil, I should note that in addition to being a writer (by the way, check out my new satirical novel The Misadventures of Oliver Booth: Life in the Lap of Luxury if you want to have some fun at the expense of the self-obsessed), I'm a licensed clinical psychologist, so perhaps I can offer a few worthwhile insights into their oftentimes ridiculous behavior. In general, I do not believe that fame creates divas. Instead, I believe that certain people have a predisposition to narcissistic, exploitative behavior that becomes unleashed when they're provided with the power and freedom of celebrity. That same behavior might be demonstrated by any one of us if we were given the same opportunities. Divas, you see, they're just like you and me. 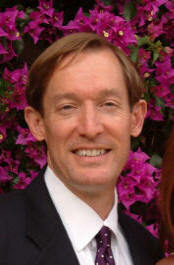 Born in New York City, David Desmond is a clinical psychologist and a member of the renowned Trump family. He is a graduate of the University of Chicago with a degree in the behavioral sciences, and he received his PhD from Fordham University. He resides in Palm Beach and Paris. David is the author of the new book, The Misadventures of Oliver Booth: Life in the Lap of Luxury. For more information please visit www.oliverbooth.com.